10 heritage sites from the area of Turkey have been inscribed on the UNESCO World Tentative List recently. With these new additions, Turkey has 70 sites on the tentative list. It is the highest number of natural and cultural heritage sites on the UNESCO tentative list. Complex of Sultan Bayezid II. 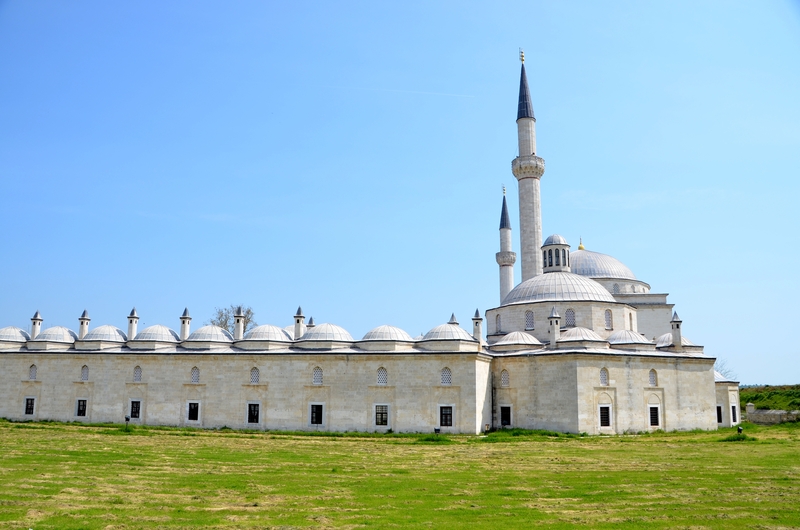 It is located on the north shore of the Tunca River in Edirne, the second capital of the Ottoman Empire. Sultan Bayezid II Külliyesi (complex) consists of a mosque, guest-houses, soup kitchen, a pharmacy, and food-storage areas. The main center of the complex is a hospital (darüşşifa) and a medical school (madrasa). The complex was built in 1488 by the Ottoman sultan Bayezid II. Bodrum Castle. The castle, also known as the Castle of St. Peter, was built by the Order of St. John of Jerusalem under the mastership of The Grand Master Philibert de Naillac, at the beginning of 15th century A.D. Currently, the Bodrum Castle is home to the Museum of Underwater Archaeology. Sivrihisar Great Mosque. The mosque was built in 1231-1232. It is a representative of the group of the wooden columned and roofed mosques in Asia Minor. 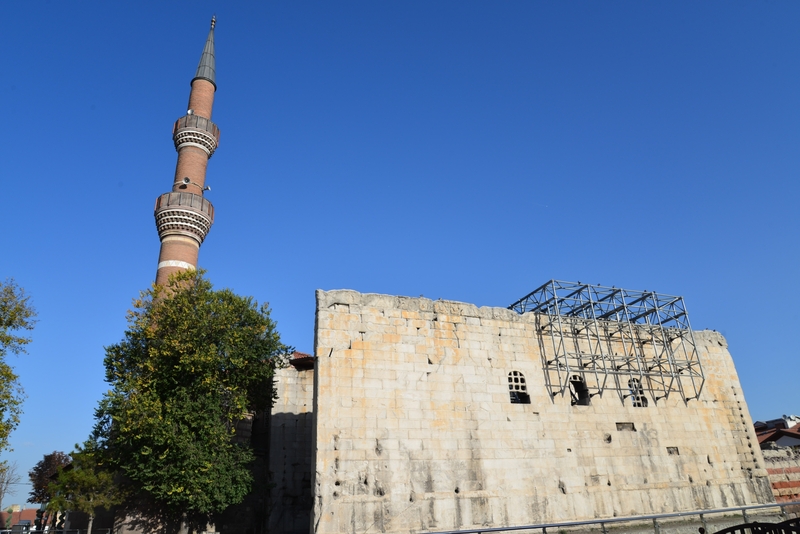 The mosque is an outstanding example of early Anatolian Turkish architecture, along with Eşrefoğlu Mosque, Afyon Great Mosque, Mahmut Bey Mosque and Arslanhane Mosque. Hacı Bayram Mosque and its Surrounding Area. From the earliest periods, Haci Bayram area had been the Acropolis of Ankara. The most important structure in the area is the Temple of Augustus from the Roman Period. It contains almost a full copy of Res Gestae Divi Augusti, written in the original Latin and translated into Greek. Hacı Bayram Mosque, located in next to the Augustus temple, was originally built in 1427/28. However, today it shows the characteristics of the late 17th century and the 18th century mosques. Nuruosmaniye Complex. The mosque, located in the Çemberlitaş neighbourhood of Fatih district in Istanbul, is considered one of the finest examples of mosques in Ottoman Baroque style. The construction of the Nuruosmaniye Complex began in 1749 during the rule of Sultan Mahmud I and was completed by his brother and successor Sultan Osman III in 1755. Malabadi Bridge. 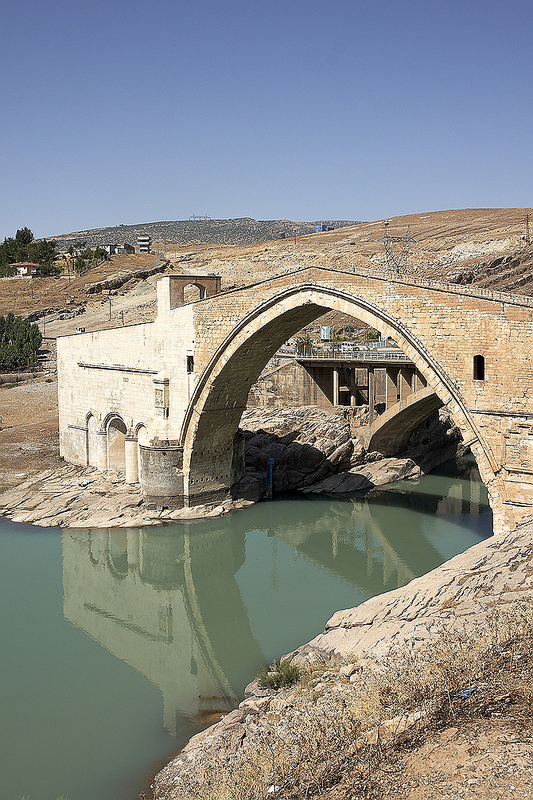 The bridge is located on the Batman Creek on the border between the provinces of Diyarbakır and Batman. It was built during Artuqids period (i.e. the 12th century AD) and is still in use for its original purpose today. The bridge is the longest spanned stone arch bridge in the world with its pointed arch of 40.86m. Tushpa/Van Fortress, the Mound and the Old City of Van. . Van Fortress or Tushpa was the capital city of the Urartian Kingdom, centred at the Lake Van Basin between the 9th and the 6th centuries BC. 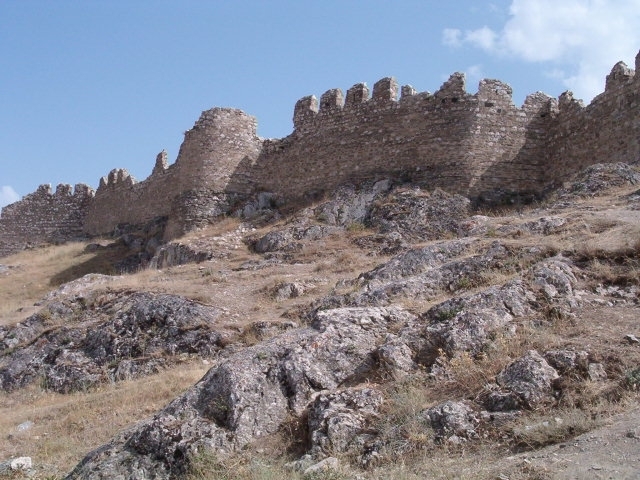 The Fortress is located on the southern shore of Lake Van. The magnificent walls of the citadel were largely built on rock terraces. The large blocks of the lower courses are mostly Urartian, on which mud brick and stone additions were made until the Ottoman era. Ancient city of Kibyra. The ancient city of Kibyra is located in Gölhisar on southwestern part of the province of Burdur. One of the chief buildings is a theatre, in fine state of preservation, the odeion is one of the most impressive buildings to be found in Anatolia, and the 195-meter-long stadium is among the largest and best-preserved stadia in Asia Minor with seats for around ten thousand people. Yivli Minaret Mosque. It is located in Kaleiçi (the old town centre) in Antalya. The mosque’s fluted minaret named “the Yivli Minaret”, decorated with dark blue tiles, is a landmark and the symbol of the city. 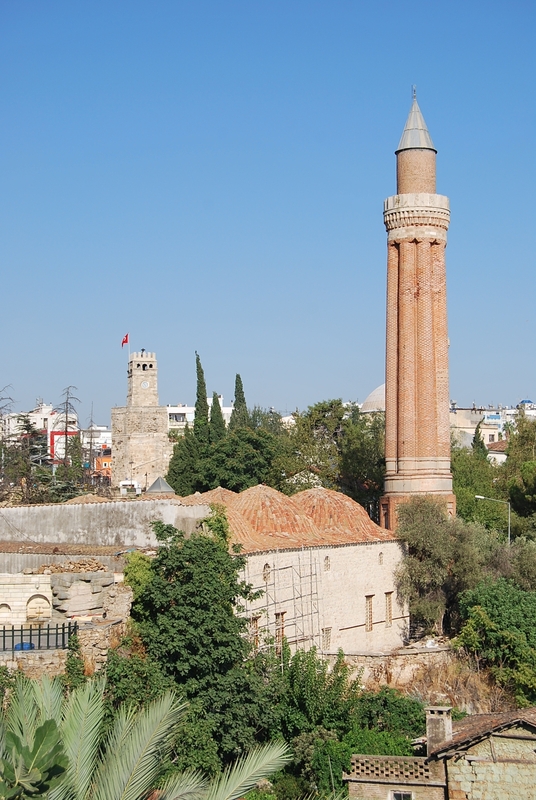 The minaret was constructed on the orders of Alaaddin Keykubad I, the Seljuk Sultan who ruled between 1220 and 1237. 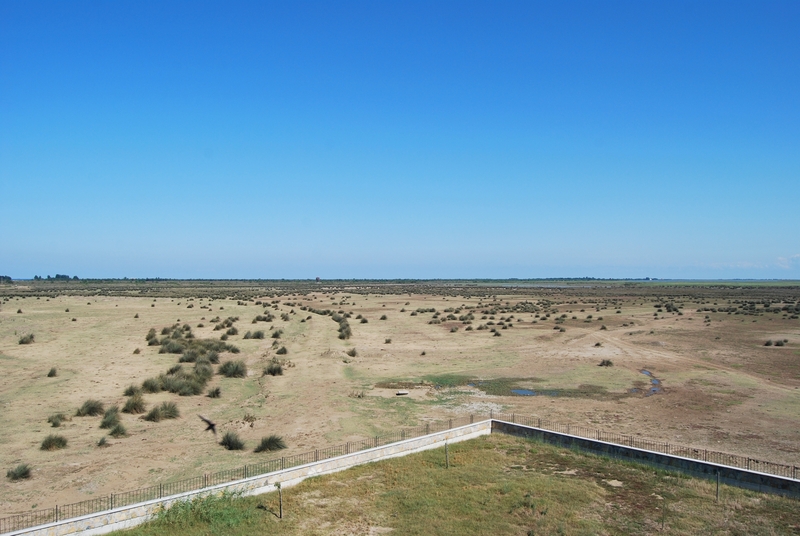 Kızılırmak Delta Wetland and Bird Sanctuary. Kızılırmak River (Turkish for "Red River"), also known as the Halys River, is the longest river entirely within Turkey. Its delta, in the area of Samsun Province, is a big wetland complex that contains almost all members of wetland ecosystems. The major habitats of this complex are flooded forests, trees and shrubs, sweet and bitter lakes, reeds, pastures, sand dunes, sea and farmlands.